It is the City’s mandate and responsibility to deliver recreational services. This is a MUNICIPAL responsibility, as is sewer, water and police protection. Recreation is NOT the responsibility of the Provincial or Federal Governments. For example, the Province is responsible to deliver healthcare, and the Federal government is responsible to deliver housing. IF a municipal government (the City) wants to support health or housing initiatives – they can – but it is NOT the municipality’s responsibility. IF the Province/Federal government want to support recreational projects that the City has IDENTIFIED in a budgeting process, they can and in fact, have done so. But never do the Province or Federal governments study or establish recreational priorities for the City of Winnipeg. The Mayor is blaming the Province for lack of funding which is blatantly wrong. The Mayor clearly does not understand that recreation is a municipal responsibility and NO level of government will fund a recreation project unless it has FIRST been identified by the city as a need. I will be clarifying to the Mayor that recreation is a municipal responsibility. My thanks to the Winnipeg Sun for reporting on this important story. Photo submitted by Tracey Wareham: A city councillor is concerned a plan to spend less on new recreational facilities will prevent a “greatly needed” complex from being built. Coun. 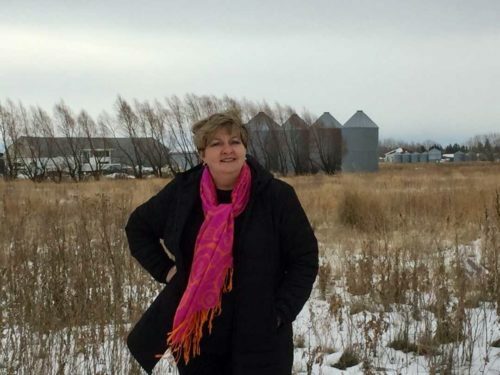 Janice Lukes (South Winnipeg-St. Norbert) said the city’s latest capital forecast raises concern that a new facility for Waverley West, which she says currently has just 5,000 square feet of recreation space for 75,000 residents, won’t be funded. The forecast proposes to invest about $6.3 million less between 2018 and 2022 than what was proposed in last year’s city forecast, with the total dropping from $12 million to about $5.7 million. The councillor says the city should instead lead the way on recreation investments to inspire other levels of government to partner on funding. “The city is mandated to deliver recreation services, not the province and not the federal government … When a city prioritizes something, than the province and feds (could) support it,” said Lukes. Lukes said she suspects the capital plan for new facilities will prioritize funds for an existing Grant Park facility, rather than new builds. She said a clear commitment for South Winnipeg rec is instead needed to offer kids activities that keep them healthy and occupied. She also linked a lack of recreation linked with increased crime and higher health-care costs. But Mayor Brian Bowman stressed the city’s overall recreation funding remains the same and budget changes primarily reflect a lack of certainty on what provincial dollars the city can expect. “The City of Winnipeg’s contribution for recreation has not been reduced. There is uncertainty about the provincial funding and that’s reflected in the budget,” said Bowman. The recreation debate follows the city preliminary budget’s plan to spend less on capital projects, with $357.4 million in 2018, down $75.5 million from 2017. The mayor said that means some major projects may not be feasible any time soon. “We’re responsible for a capital budget that has to be forecast multiple years out. With uncertainty of the funding levels from the province, we’ve had to be much more conservative in builds, in new capital projects,” said Bowman. The city’s preliminary budget, which could be altered prior to a Dec. 12 final council vote, is based on an expectation that the province will again freeze municipal grants at 2016 levels next year.